Hazardous trees pose a danger to people and property. When storms or high winds hit, limbs, and often whole trees, fall to the ground. Fortunately, one can often read the clues that indicate a tree is prone to failure. For instance, if a tree has large branches attached with tight, V-shaped forks, you should consider having those branches removed or lightened. Other warning signs of structural instability include cracks in the trunk or major limbs, hollow and decayed areas, or the presence of extensive dead wood. Mushrooms growing from the base of the tree or under its canopy may also be a sign of root decay. Remember to be thorough in your evaluation; the absence of fungus growth does not necessarily mean the tree is healthy. “It also pays to be highly suspicious of any tree that has had construction activities, such as trenching, addition or removal of soil, digging or heavy equipment movement, anywhere under the spread of its branches,” says Andersen. These activities can cause root death, which, in turn, could lead to the structural instability of the tree. The sign most people recognize is a hollow in a tree. Filling of hollow trees, a process called “cavity filling,” was practiced by arborists for many years, but recent research shows it is not needed to support or improve the health of hollow trees. However, there is really no reason to fill a cavity other than for aesthetic reasons; it doesn’t improve the tree’s health and doesn’t offer extra support. If structural support of a tree is required, a professional arborist will recommend cabling, bracing, propping, tree guying or removing the tree. What Was The Good News For March? 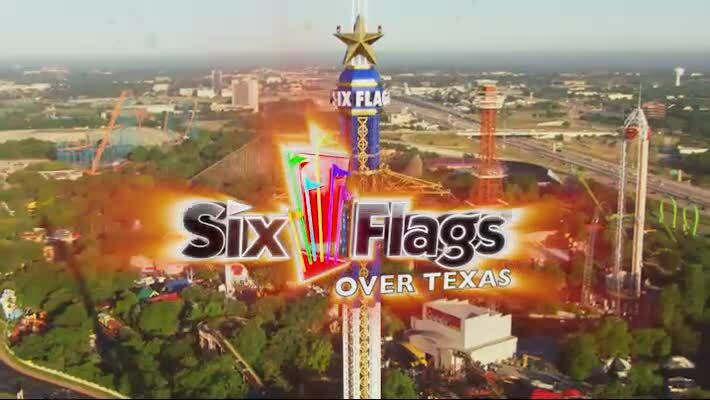 Six Flags Over Texas this month will debut what it’s calling North America’s first dedicated virtual reality roller coaster. The New Revolution Virtual Reality Coaster uses Samsung Gear VR powered by Oculus and Samsung phones. Riders become “co-pilots” in futuristic virtual fighter jets and are transported into a battle to save planet Earth from an alien invasion, while trekking along at 55 mph. The headsets have adjustable straps, so guests can wear their own prescription glasses on the ride. The new virtual reality coaster is set to open to the general public on March 26. San Francisco-based McKesson Corp. has announced plans to spend $157 million in a Texas expansion in Irving. The health care services and information technology company will fill the former NEC buildings near State Highway 161 and State Highway 114 in Irving. McKesson plans to add at least 975 new jobs in its expansion efforts in addition to the 900 already working in North Texas. Giant Bicycles will occupy 3,500 square-feet near the intersection of Lakeside Parkway and Surrey Lane, in Lakeside in Flower Mound. While Giant branded bicycles are sold in bike shops all across Dallas/Fort Worth, this will be Giant’s first brand store in the Dallas/Fort Worth market. Giant is the leading performance bike manufacturer in the world and has other Giant brand stores located in the Denver, London, Scottsdale, Paris, Boston, Melbourne and Santa Monica markets. The Giant Bicycle Store hopes to prosper due to the biking enthusiasts that ride the Northshore Trail adjacent to Lakeside. Argyle P & Z has given approval to a planned development on approximately 134-acres of land along the east side of I-35W and south of FM 407, across the interstate from Paradise Foods. The project is under the direction of a familiar name in North Texas, Mehrdad Moayedi of Centurion American Acquisitions, who also is the developer of The River Walk in Flower Mound. Avalon at Argyle will include a variety of 334-single-family residential home styles, including townhomes and single family detached. Avalon at Argyle will also include approximately 39-acres of commercial property, as well as approximately 22-acres of open space with parks and trails that will provide connectivity between the neighborhood and the retail center along I-35W. New York-based advertising and marketing giant Saatchi & Saatchi is following one of its biggest clients – Toyota Motor Corp – to the DFW area. Instead of following Toyota to Plano, Saatchi & Saatchi has picked one of Uptown’s newest office blocks for its expansion. Saatchi & Saatchi has rented more than 50,000 square feet of office space in the new McKinney & Olive tower under construction on McKinney Avenue. Saatchi & Saatchi’s sister company Team One will also be located in the 20-story McKinney & Olive tower. The building is set to open in late summer after two years of construction. Since recruiting and retaining talent is a priority in the advertising industry, the walkable urban neighborhood was appealing. Saatchi & Saatchi has 130 offices in 70 countries with more than 6500 employees. RealtyTrac recently reported that there were 110,008 investors or entities that completed at least one home flip in 2015, the highest number of home flippers since 2007, when there were 130,603 home flippers. RealtyTrac’s research shows that the peak in the number of active home flippers was in 2005, with 259,192. However, there were 1.63 home flips per investor in 2015, the lowest ratio of flips per investor since 2008. Some 179,778 U.S. single family homes and condos were flipped in 2015, according to RealtyTrac — about 5% of sales — and, more staggeringly, flipping in 12 major markets now is above 2005 levels, said RealtyTrac. . As for metros with especially active flipping, RealtyTrac pointed to Pittsburgh (19% above 2005 levels), Memphis (18% above 2005), Buffalo (12% above 2005) and San Diego (4% above 2005), Seattle (4% above 2005) and Birmingham, Ala.(4% above 2005). WHAT WAS THE GOOD NEWS IN FEBRUARY? Sales of houses priced at $1 million or more rose more than 12% in the year 2015 in the Dallas-Fort Worth area, according to the Texas Association of Realtors. The rate of increase in luxury home sales in the D-FW area was about twice the overall growth of preowned home purchases. Last year’s million-dollar-home sales rise in North Texas follows a 15% increase in 2014. The D-FW area had 1,088 luxury home sales during the first 10 months of 2015. The median price of luxury homes sold in North Texas was $1.4 million – the highest of any of the state’s major markets. New York City and Dallas-Fort Worth were the two fastest growing commercial construction markets in 2015. Among the largest commercial building markets, New York City construction start volumes rose by 66 percent in 2015 from 2014 levels. And in the D-FW area construction of commercial buildings and apartments increased by 35 percent last year from the year before, according to a new report by Dodge Data & Analytics. D-FW ranked third for total building volume with $6 billion in new project starts, behind New York with $34.9 billion in new construction and Miami at $6.3 billion. The Mortgage Bankers Association most recently released information showed that the delinquency rate for mortgage loans on one-to-four-unit residential properties dropped to a seasonally adjusted rate of 4.77 percent of all loans. This is the lowest level since the third quarter of 2006. More than 4,000 jobs were added at Alliance Texas in far north Fort Worth in 2015, bringing the development’s employment numbers above 45,000, a new report shows. Since it started with the opening of Alliance Airport in 1989, Hillwood Properties’ 18,000-acre mixed-used development has generated $59.69 billion in economic impact to North Texas, including $4.32 billion last year, according to an annual report presented to the City Council. 2015 was a big year for Alliance in terms of new projects, including groundbreaking on the $1 billion Facebook data center and Walmart.com’s announcement for another e-commerce center at Alliance Center North II, Hillwood said. Facebook bought 110 acres from Hillwood earlier in 2015. But by mid-December it added another 39 acres for a possible expansion beyond the planned 750,000 square feet of data center space already on the drawing board.